I hope you are doing fine. I’m very happy to present you this awesome deal! I just got a free 12×8″ canvas print and I am allowed to share this with you! 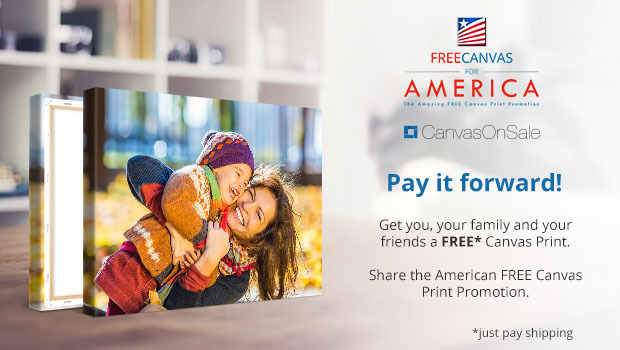 – All you need to do is to click the website link http://www.canvasonsale.com/congrats/, upload your favorite picture, choose 12×8″ canvas and enter the voucher code from the website in the basket Keep it for yourself or present it to your loved ones.